Most broadband internet connections stay "always on" — keeping you online at all times. However, whether this approach is a good thing is debatable and usually depends on your own situation. 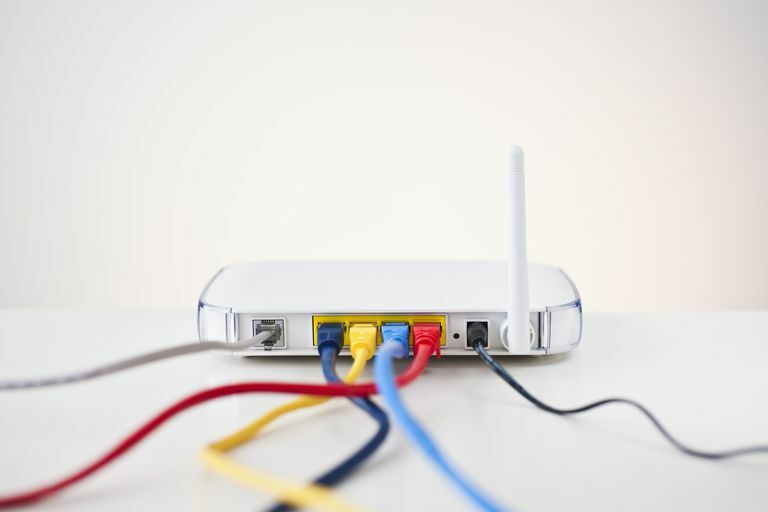 Home network owners often leave their router, broadband modems, and other gear powered up and operating constantly, even when they aren't constantly using them, for the sake of convenience. Security: Powering off your gear when you're not using it improves your network security. When network devices are offline, hackers and Wi-Fi wardrivers simply cannot target them. Other security measures like firewalls help and are necessary, but not bulletproof. Savings on utility bills: Powering down computers, routers, and modems save money. In some countries, the savings is low, but in other parts of the world, utility costs are significant. Surge protection: Unplugging network devices prevents them from being damaged by electric power surges. Surge protectors can also prevent this kind of damage; however, surge units (particularly the inexpensive ones) cannot always protect against major power spikes like those from lightning strikes. Less wireless interference: Shutting down wireless routers opens up that previously used frequency space for other devices that you might be using at home that were possibly weakened or even unusable while the culprit device was running. Noise reduction: Networking gear is much quieter than it was years ago, before loud built-in fans were replaced with solid-state cooling systems. Your senses might be adjusted to the relatively low levels of home network noise, but you might also be pleasantly surprised at the added tranquility of a residence without it. If you just want to disable your Wi-Fi for security benefits or because it's never used anyway, see When and How to Turn off Wi-Fi. Hardware reliability: Frequently power-cycling a computer or other networked device can shorten its working life. Disk drives are particularly susceptible to damage. Communication reliability: After power cycling, network connections may sometimes fail to reestablish. Special care must be taken to follow proper startup procedures. For example, broadband modems generally should be powered on first, then other devices later, after the modem is ready. Convenience: Network devices like routers and modems may be installed on ceilings, in basements or other hard-to-reach places. You should shut down these devices gracefully, using the manufacturer's recommended procedure, rather than merely "pulling the plug." Powering down a network takes time to do properly and may seem an inconvenience at first. Remote access: If your network is set up for access remotely, like with a remote access program, then shutting down the very equipment that allows for that access means that you can no longer remotely log in to your computer when you're away from home. The same is true if you like to remotely print to your home printer or view your wireless cameras when away. Home network gear need not be powered on and connected to the internet at all times unless your personal use case requires it. Turning off your network during extended periods of non-use is a good idea. If you're going to be away on a vacation or are purposefully pulling the plug on all your electronics over the weekend, then, by all means, shut down the devices you won't be using. The security benefit alone makes this approach a worthwhile endeavor. However, because computer networks can be difficult to set up initially, some people naturally fear disrupting it once it's up and running and working well. Ideally, power-cycling your home networking gear shouldn't happen too frequently to avoid damaging or disrupting your setup. Once or twice a week might be fine; once or twice a day is probably too much.